Exposed brick, ceiling to floor windows and timeless architecture are only a few of the attributes that make The Cotton Room one of the most sought after NC wedding venues in Durham. Explore our wedding packages and pick the one that is perfect for you! Our catering menus will be sure to tantalize taste buds and please all palettes. Discover our wedding packages and menu options! 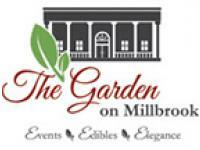 The Garden on Millbrook is a Full Service On and Off Premise Catering Company. Our modern Venue is complete with Sparkling Chandeliers, Solid Wood Dance Floor, Linens, Glass ware, 4000 square foot Patio with overhead Market Lights, and waterfall. 1620 Mount Carmel Church Rd. 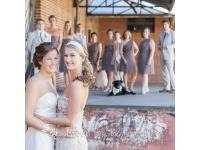 Babylon Restaurant features the best wedding reception venue in Raleigh. We have a splendid setting for your theme wedding or your dream wedding outdoors.